As you might imagine, life has been a little disorganized around here lately. The same storm that put a branch through our roof actually left two more holes in the house, so we've had to replace the roof and do a few other maintenance things. Next week the hole in my studio ceiling will be patched up, so I should be able to get back to normal soon after that. The nice thing is that both our insurance company and our contractor are awesome, so things are about as good as they could possibly be given the circumstances. With the roof construction underway, studio time has been scarce. This offered me the perfect chance to finish up the Saskia Project, though, because I'd already assembled Saskia and taken a few pictures of her before the storm hit. All I had left to do was snap a few photos outside in the sun--no studio necessary. This should have been an easy thing to do, but there was one small problem: as much as I love this doll and as cute as she is in real life, she's not at all photogenic...especially outside. I suspect this is mostly because I made her way too shiny with all of those layers of sealant. 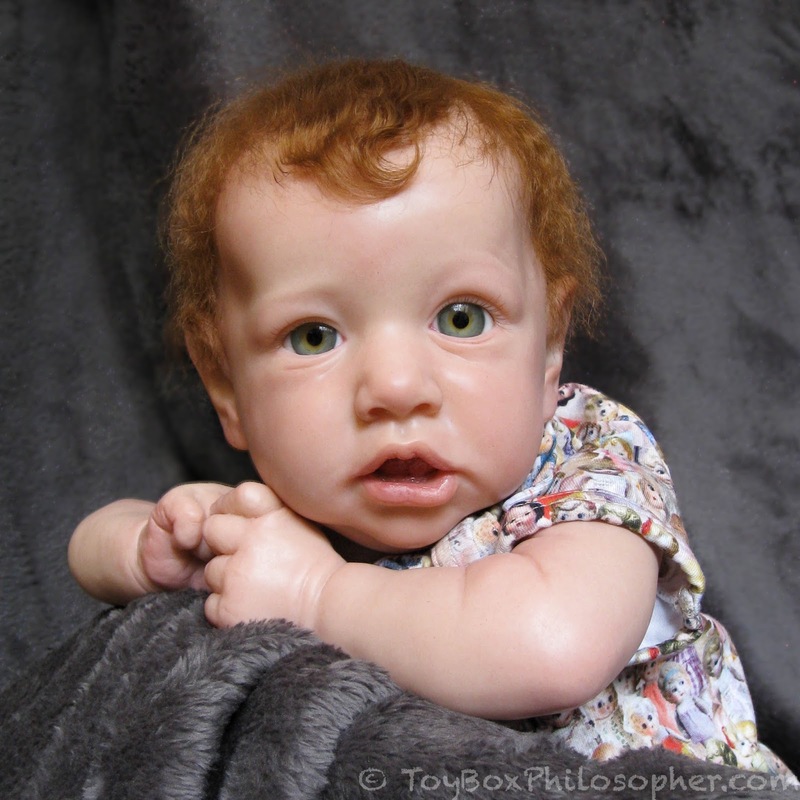 I'm also not accustomed to photographing baby dolls. They don't stand up on their own! 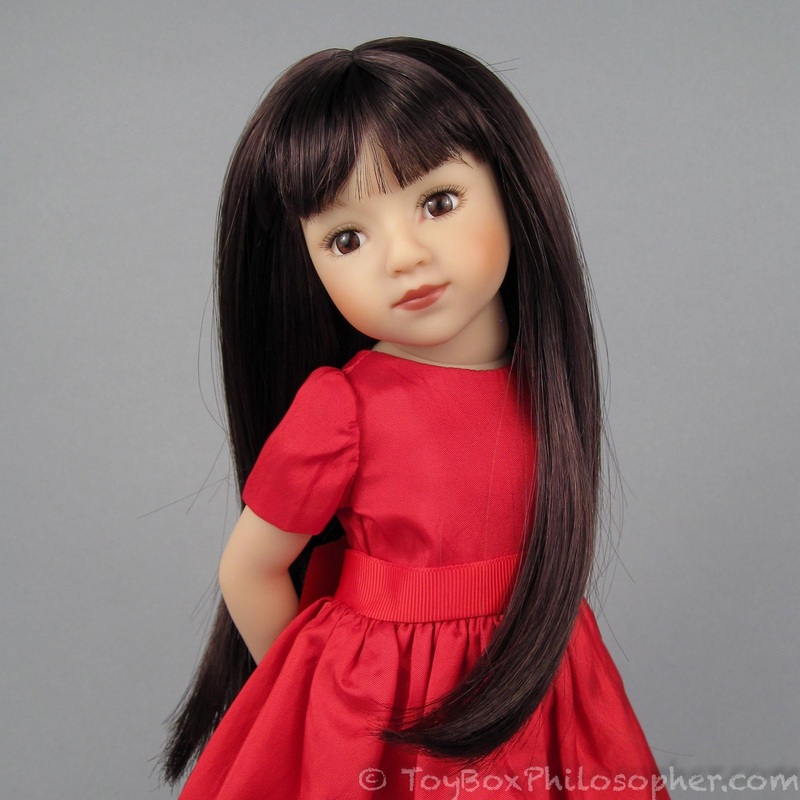 "Saskia" reborn kit doll by Bonnie Brown (completed). Happy New Year! I hope 2017 has gotten off to a promising start for all of you. It's been a mixed bag around here...but I'll get to that in a sec. Thank you so much for all of the wonderful comments on the Christmas post! I was thrilled that many of you enjoyed hearing about Santa Mouse and his magic. That's a pretty special memory for me. I want to start this year off right by reviewing two new dolls from one of my very favorite companies: Maru and Friends. As you might recall, the redheaded Savannah character from Maru's 18-inch line is one of my most treasured, beautiful play dolls. Maru Mini Pal from Maru and Friends ($89).